Discount paintball prices are sometimes available. Visit the respective paintball center link to view reservation discounts. Save money and time by prepaying for your paintball event! 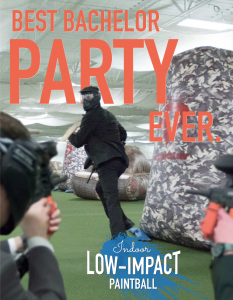 By booking ahead of time you guarantee paintball gear and space for your party. So as our gift, we would like to extend a free Armor Package as well as a paintball T-shirt. 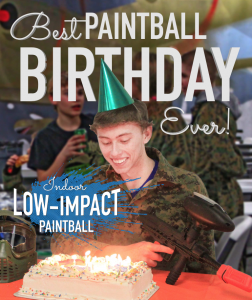 To take advantage of our special birthday package simply enter “birthday special” in the comments section when you book your party online at any Paintball Minnesota location. Offer not valid with any other coupons or specials. Party must be booked online to receive package. We periodically announce specials, deals and events through our Facebook page. Follow us by and be sure to click the “LIKE” button at the top of the page to be notified of discounts and specials! Have any questions? Give us a call at 612-378-0385 for more information!